A special guest in the “Meet the Coach” space, we interview Marion Eickmann who knows a lot about Agile coaching. 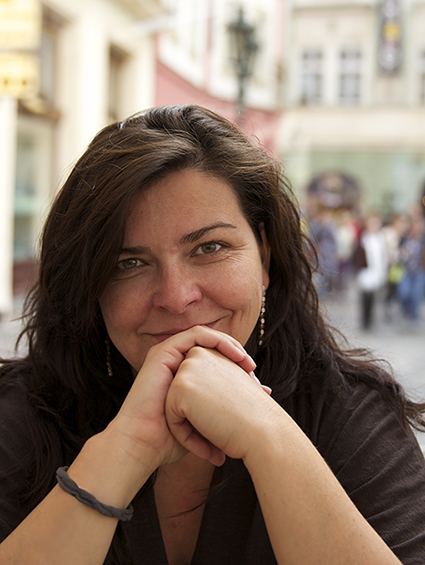 Based in Berlin, she is the co-founder and CEO of agile42. The agile42 Connect event just ended was a personal goal and also a celebration of the path that the company has walked in nearly ten years. We checked to discuss the agile42 approach to Agile. What is your professional background and how you ended founding such a peculiar company as agile42? It took me nine months stressing all my colleagues at the time to understand what requirements are, how UML is supposed to help and why projects are often out of time and budget, just in order to write my first article about software development. While my insights in the topic grew I understood that the biggest issue existing in product development is the communication between customer and developers. At the same time I saw that the creative job of a developer was not really recognized as such. And then I met Andrea. We had the same idea of working, of collaboration, of fighting and standing for principles and we had the same vision that work should be fun, motivating and should enable people to be successful. Both of us have seen many environments and we just wanted to make a difference. This was 10 years ago and that’s when agile42 was “born”. You always stress that agile42 is a coaching company, what is coaching at an enterprise level from your point of view? Coaching means to help people to get the best out of themselves. To enable them to learn and change and not to fear to ask or doing mistakes. It does not matter if we are talking about an enterprise or a little startup, creating a work environment which is based on trust and transparency will support the success of every organization. I believe that the Agile Principles are a very good base to build such an organization. On the other hand the reality is that we all learned to work and act differently. Coaching helps people to change and if they change personally the environment and the culture changes with them. Obviously you spend a lot of time talking and writing to clients or potential ones, what is your opinion about the adoption of Agile in Germany and the rest of Europe? From what I see the Agility has different phases. The first phase is about doing the practices. Scrum for example looks easy so many companies just try it out, which is good :-) Still at a certain point they realize that doing Agile by the book does not really help, that there are issues they can not fix. Sometimes it’s just about having the feeling that this could be better, but they do not know how. A bigger organization tries in this phase to train all teams and putting an Agile Process-Plan together… Unfortunately that does not work. Agile works, but only if an organization (of any size) is able to move to the second phase. And this phase is about culture, about people and about change. Goals like efficiency, higher productivity, faster time to market can be reached but it requires a different way of working and Leadership. In the past year agile42 has expanded in Turkey and in South Africa (through the merger with the well-known Scrum Sense team), which are the next markets you see for the company?